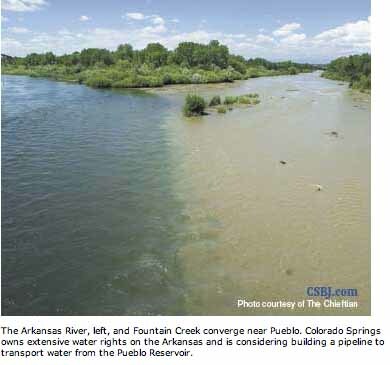 A trial began Wednesday to determine whether the city of Colorado Springs violated clean water laws by discharging pollutants and large-volume water flows from its storm water into Fountain Creek and other Arkansas River tributaries. The trial is for a 2016 lawsuit by federal and state.environmental agencies against Colorado Springs. The case is central to long-standing disputes that Pueblo County and the Lower Arkansas River Valley have with the city for defiling the creek and the river. The environmental agencies contend the city is responsible for creating a threat to public health because the stormwaters increase levels of E. coli, pesticides and other pollutants into the creek. Senior Judge Richard P. Match of U.S. District Court in Denver is presiding over the trial that is expected to run at least 10 days. The Pueblo County Board of County Commissioners and the Lower Arkansas Water Conservancy District joined the U.S. Environmental Protection Agency and the Colorado Department of Health and Environment as plaintiffs by intervening in the case. The district is comprised of Pueblo, Otero, Crowley, Bent and Prowers counties. On a still dark December morning in 2015, a red Ford Ranger plastered with stickers and jammed with kayaking gear left the lights of Bozeman, Montana, and headed south on Route 191, paralleling the Gallatin River. It drove through subdivisions and farmland, past a ski resort, and finally toward the border of Yellowstone National Park, where the river’s headwaters rise. There, in one of the most intact, well-protected ecosystems in the United States, Gerrit Egnew, a University of Montana bioengineering student, pulled the truck onto a side road and parked. The sun had just risen, its rays slanting through frosty spruce trees. The temperature was 10 degrees Fahrenheit. Egnew and his friend Kirra Paulus went through a routine they’d practiced dozens of times: dress in warm layers of wool and synthetic clothing, yank Gore-Tex dry suits over their heads, and shimmy into the neoprene spray skirts that connect them to their plastic boats. Snow crunched underfoot. Although the pair had been here just a few months earlier, the river was nearly unrecognizable in the grip of winter, banks of undercut ice narrowing its channel to less than eight feet across. Not far downstream, the blue-black water disappeared entirely beneath snow and ice. These aren’t the kinds of conditions whitewater kayakers normally get out of bed for, but Egnew and Paulus hadn’t come for adrenaline. “I’m a middle-class white guy who gets to spend a lot of time outside, and sometimes I feel like the activities I love are selfish,” Egnew told me later. Wanting to put his kayaking skills to more altruistic purposes, he signed up to collect water samples for a Bozeman-based nonprofit called Adventure Scientists. The organization uses kayakers, skiers, climbers and other outdoor enthusiasts to gather environmental data from places too scattered, far-flung or difficult for scientists to regularly reach. One of its biggest projects revolves around a material that Egnew knows well from his years of rafting and kayaking: plastic. More specifically, Adventure Scientists is interested in microplastics, pieces smaller than 5 millimeters in diameter. Some have broken down from larger items like disintegrating tires, toys or plastic bags. Others are shed from synthetic clothing, or come from personal hygiene products with exfoliating “microbeads.” Some can be seen with the naked eye; others are so small that they’re nearly invisible, and so light they can float on currents of air. And they are everywhere, from Arctic sea ice to city drinking water. By the time Egnew began volunteering on the Gallatin in 2015, Adventure Scientists had already collected water samples from thousands of locations around the world. Ultimately, they found microplastics in 93 percent of them. But while the ubiquity was startling, the nature of the project meant there was little follow-through at individual sites. And while the threat that microplastics pose to the world’s oceans is well-established, there’s been comparatively little research on their impact to freshwater and inland environments. So Abby Barrows, who heads Adventure Scientists’ microplastic initiatives and is a marine researcher with College of the Atlantic, decided to investigate plastic pollution in a single, unlikely place: Montana’s Gallatin River, which flows into the Missouri and then the Mississippi. If she could identify how microplastics entered the headwaters of one of the country’s biggest watersheds, it could help shed light on how the pollutants spread from streams to rivers to the fish we eat, the water we drink, and the fields where we grow our food. Which is why Egnew and Paulus were slowly making their way down the last ice-free section of the Gallatin in December, dunking their hands into the frigid water to fill labeled metal water bottles. As Barrows had instructed, they sampled from the left, right and center of the river, always upstream from their kayaks. They took photographs of their gear and clothing so Barrows could later make sure that no plastic bits came from the volunteers themselves. Everything was going well. Then, just before the river disappeared beneath the frozen landscape, a bottle slipped from Egnew’s hand. He pulled his sprayskirt and dove down to rescue it. At the river’s edge, his polyethylene-molded boat scraped ashore. IF FUTURE SCIENTISTS digging through layers of rock and sediment come upon the geologic strata being set down today, they’ll find a colorful stripe of earth atop the plain rock and dirt of the pre-industrial era. Since plastics first became widespread in the mid-20th century, more than 9 billion tons have been manufactured, most of which has been thrown away. Once they’re buried, scientists have no reason to believe that these Crayola-colored bits and bobs will ever fully biodegrade. Instead of calling our current geologic epoch the Anthropocene, or Age of Humans, scientists who study plastics sometimes refer to it as the Plastocene. Geologists even recognize a type of rock — “plastiglomerate” — that’s made from plastic and sediment that have naturally fused together. So perhaps it should come as no surprise that when Egnew and Paulus turned in their water bottles, together with more than 700 additional samples collected from 72 sites along the Gallatin over a two-year period, the samples were flush with tiny pieces of plastic. In peer-reviewed research soon to be published, Barrows found that 57 percent of the samples contained microplastics, with an average of 1.2 pieces per liter of water. If that doesn’t sound like much, consider that the Gallatin flows at a rate of 6,000 cubic feet of water per second at its peak, and this seemingly clear mountain river begins to look like a conveyor belt for tiny pieces of trash. Microplastics have been found in numerous other Western water bodies, from alpine tarns to the giant reservoir of Lake Mead. But the upper Gallatin is one of the most pristine watersheds in the Lower 48 — a playground for fly fishermen, whitewater boaters, mountain bikers and hikers. Much of the river flows through protected public lands. So where’s the plastic coming from? 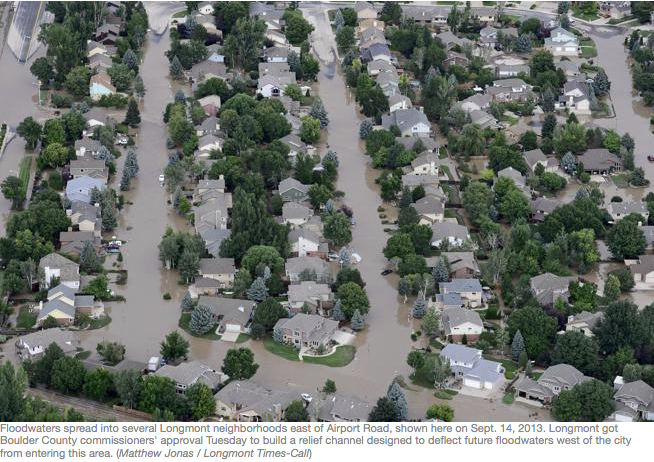 Still, outdoor recreation isn’t wholly to blame. As the Gallatin flows downstream — past Bozeman, into the Missouri River, and through cities, wildlife refuges and Native American reservations — plastics enter the watershed from a panoply of sources, including our own homes. TO THE EXTENT THAT most of us think about microplastics, we’re probably familiar with microbeads, the tiny plastic scrubbers that became common in face washes and toothpastes in the late 1990s. Following a surge in public awareness about the dangers microbeads pose when eaten by fish and other wildlife, Congress voted to ban them in personal care products beginning in 2017. But Danielle Garneau, an associate professor of environmental science at SUNY Plattsburgh who studies microplastics, says that microbeads never made up a large percentage of the microplastics she and her colleagues found in freshwater. A bigger culprit, she says, are plastic fibers. Head to any coffee shop in Bozeman on a wintry Saturday morning, and the problem is in plain sight. Fleece pullovers. Polypropylene leggings. Polyester hats. Globally, production of synthetic fibers — long, thin strands of plastics spun into threads much as wool is spun into yarn — more than doubled from 2000 to 2017. Today, roughly 58 percent of clothing is woven with them, including many technical outdoor fabrics. While these fabrics excel at keeping us warm and dry in the elements, they shed every time they’re washed: up to 250,000 plastic fibers per jacket, per wash cycle. That means every time one of Bozeman’s 45,000 residents throws their synthetic base layers or fleece jacket in the wash after a sweaty day of skiing or kayaking, they’re releasing microfibers into the city’s sewer system. From there, the plastic-laced water travels to Bozeman’s state-of-the-art wastewater treatment plant, where it passes through a variety of filters and tanks before being discharged into the East Gallatin River. Although Bozeman’s plant meets some of the highest environmental standards in the United States, Garneau says wastewater treatment plants (like freshwater treatment plants) simply aren’t designed to pick up particulates as tiny as microplastics. A 2016 study she co-authored found that municipal wastewater plants release up to 23 billion plastic particles into U.S. waterways every day — a major point source of freshwater plastic pollution. Even plastics that are captured by treatment plants often end up back in the environment. They settle into the semi-solid residue, or sludge, produced by plants, which is then repurposed as fertilizer and sold or given to farmers. Scientists from the Norwegian Institute for Water Research and the Swedish University of Agricultural Sciences estimate that because of such fertilizers, more plastics wind up in Europe and North America’s agricultural soils each year than currently exist in all the world’s oceans. Inevitably, untreated irrigation runoff sends some of them back into our rivers. Without additional research on the Gallatin-Missouri watershed, no one can say for sure how microplastic concentrations fluctuate as the rivers flow downstream, or to what extent they’ve contaminated wild and human communities. Still, studies from elsewhere in the country paint the basic picture. Some microplastics are flushed out to sea, where they contribute to marine plastic pollution. Scientists estimate that some 80 percent of plastic in the world’s oceans originates from inland sources. Other particles sink to the river bottom, where they may be eaten by benthic invertebrates like freshwater mussels. Still others bob along in the water column and are gobbled up by fish or birds. In the Northeast’s Lake Champlain, Garneau has found an average of 22.93 microplastic particles in the guts of each bird she surveyed, 6.49 in fish, and .61 in invertebrates. Off the coast of California, University of Toronto ecotoxicologist Chelsea Rochman found microplastics in 25 percent of fish and 33 percent of shellfish caught locally and sold for human consumption. In both studies, the majority of particles were fibers. Some of these microplastics are excreted, while others stay embedded in animals’ guts and other organs that Americans rarely eat, except in the case of shellfish. But the chemicals that plastics are made with, including carcinogens like brominated ﬂame retardants, can leach off plastics and be absorbed into muscles and tissues — parts of the fish bound for our dinner plates. DINING ON CONTAMINATED FISH AND SHELLFISH is just one way humans ingest plastics. Researchers have also found microplastics in craft beer, honey, salt and — in research headed by SUNY Fredonia chemist Sherri Mason — in 81 percent of tap water and 93 percent of bottled water from around the globe, including the United States. Students in Rochman’s lab are trying to tease out how, say, eating polyurethane foam impacts wildlife differently from eating polyester fibers. She hopes the results may eventually help regulate the production of hazardous plastics the way similar research helped regulate pesticides. “We’re not going to get rid of plastic,” Rochman says. “It’s a really important material. But we can think about using safer types.” That could mean banning certain chemical compounds from plastic manufacturing, or perhaps engineering more environmentally friendly plant-derived plastics. Like other plastic scientists I spoke with, Rochman is surprisingly optimistic. Instead of feeling discouraged by the pervasiveness of plastics, they believe the visibility of the problem makes it more likely to be tackled: Unlike climate change, plastic pollution is hard to deny. Environmental campaigns aimed at reducing plastic waste are encouraging some consumers to use steel straws, cloth shopping bags, and washing machine filters that capture microfibers, while the bipartisan cooperation on banning microbeads offers hope that other types of harmful plastics can also one day be regulated. California banned single-use plastic bags in 2016, and Seattle recently banned single-use drinking straws and plastic cutlery from being distributed within city limits. Other Western states, however, are moving away from regulation. Idaho and Arizona both recently passed legislation banning plastic bag bans, which means cities like Bisbee, Arizona, that independently voted to stop using plastic bags may have to drop their bans or risk losing state funding. Yet landlocked Western state are hardly immune from the effects of plastic pollution, especially in rural areas where people are more likely to catch and eat wild fish. Keeping plastics out of rivers like the Gallatin could help keep microplastics out of humans’ and animals’ food supplies, both in the intermountain West and further downstream. The outdoor recreation industry may only be responsible for a fraction of the plastics entering Western watersheds, but as the number of mountain bikers, hikers and anglers toting plastic into wild places grows, enthusiasts like Gerrit Egnew are starting to reckon with the footprint they leave behind. Like nearly everyone else in this country, Egnew depends on plastics. After he dove beneath the icy water of the Gallatin to retrieve his water sample on that December morning, the plastic-derived gaskets and fabrics in his dry suit protected him from hypothermia. That’s why he’s happy to have contributed to research identifying the outdoor recreation’s role in plastic pollution. “Outdoor industries are often touted as solutions to more extractive types of industry,” Egnew says. “I think that’s probably true. But without knowing the impact of the outdoor industry ecologically, we can’t really compare them.” Quantifying that impact, he adds, is the first step toward mitigating it. We say to check your sprinkler system regularly for a reason. One of our employees can testify why. How standard summer watering rules and efficient water use play into declaring drought.